I'm ashamed to say that this is my first time reading Colleen Hoover. I'm so mad that it's taken me so long! I went into WITHOUT MERIT blindly and I'm so glad that I did. I truly got to be pulled in by Hoover and I loved it! This is a hard one to review without giving away any spoilers, so I'll give you the basics. We meet the Voss family, they aren't exactly your typical or picture perfect family. Everyone in the family is quirky in their own way. We meet twin sisters, Honor and Merit (our narrator), their father, his ex-wife (the agoraphobic living in the basement), his mistress turned wife (Victoria), their brother, and then Honor's boyfriend and Victoria's brother join in later on. Sounds like a mess, right? This story is told through the eyes of teenager Merit. Her struggles and feelings of being unwanted or not good enough when compared to her siblings. There are some dark secrets that come to light before she decides to leave her family - but nothing ever goes according to plan. Hoover does a great job focusing on topics such as depression, suicide, and mental health, but she does it in a lighthearted and humorous way. Overall, this does have a YA type feel to it, which is partly due to the narrator being a teenager. While I'm not one to having any overly emotional reactions to books, I have seen from other reviewers that there were tears and lots of laughs. If you want a book that you will find yourself fully immersed in, then I'd highly recommend picking up WITHOUT MERIT. I'll be grabbing Hoover's other books for sure. 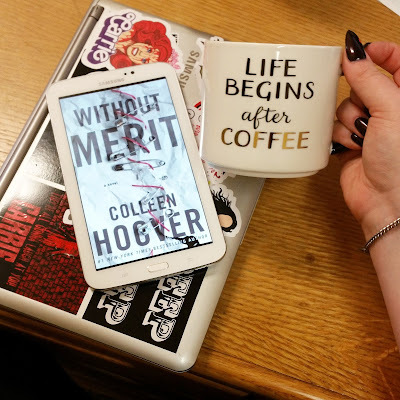 Colleen Hoover is one of those guilty pleasure authors that I pick up whenever I just need to be completely lost in a story and am not looking for anything too heavy or anything too complex. Pure entertainment value is what I am looking for and, Without Merit, the newest novel by Colleen Hoover certainly delivers. The novel opens and we meet the Voss family, who is anything but normal. 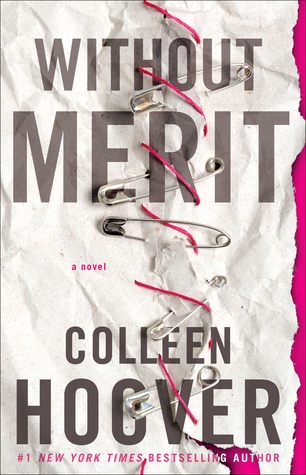 We meet twin sisters, Honor (who is obsessed with dating boys with terminal illnesses) and Merit (who collects trophies anytime anything bad happens to her). They live with their father (Barnaby), their father’s mistress turned baby mama, turned wife (Victoria). Their mother, who is an agoraphobic and never leaves the basement. Their brother, Utah, who is hiding several secrets, Honor’s newest boyfriend, Sagan and Victoria’s brother, Luck, who turns up to add another layer to the plot. It is hard to even pin point what this novel is actually about. In typical CoHo style, there is a bit of contemporary romance, some messages about family, suicide, loss, and grief. Many hats are worn during the reading of this novel. Personally, I felt like it read a little bit more like a YA novel then I would have liked. I prefer something a little bit more mature, but regardless of my feelings about that, I cannot deny the completely addicting nature of this book. I picked it up to read and consumed it in a matter of hours. I couldn’t put it down. 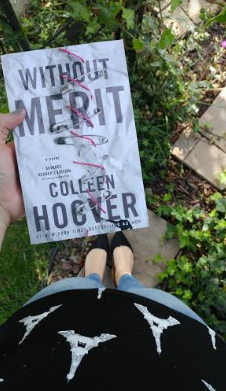 If you are a fan of Colleen Hoover, then this one is a no-brainer. If you are a fan of books that read like YA, then I think you will enjoy this one too!